Google flipped the script last year when it retired the Nexus line in favor of its own branded handsets, and now all eyes are on the Pixel 2. With improved specs and even better cameras, the new phones are poised to propel Google back to the head of the class with a pure Android O experience. The camera window panel on the Pixel 2 might be a little smaller. While the Pixel’s iPhone-inspired front seemed somewhat uninspired last year, it looks downright boring next to the bezel-slimming designs of LG’s G6 and Samsung’s Galaxy S8. 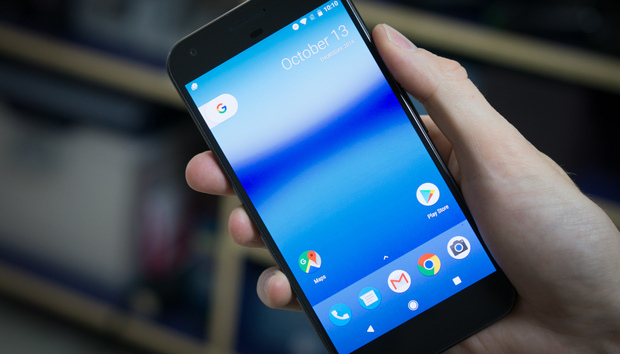 There haven’t been any major leaks of the next Pixel’s design, but a report from ETNews might shed some light on Google’s plans. The search giant has reportedly offered $900 million to invest in LG Display, which would go a long way toward shoring up a proper OLED supply for the next Pixel phone. Furthermore, it’s reported that Google’s investment is focused on LG’s flexible display division, which could mean curved edges. XDA Developers says the phones will keep the two-tone look on the back of the phone, but the glass window will be smaller, covering the camera but not the fingerprint sensor. Last year’s Pixel featured the then-top-of-the-line Snapdragon 821 chip, and this year’s Pixel looks to be powered by the best silicone as well. XDA Developers claims the phones will be powered by the Snapdragon 835 chip, along with the same 4GB of RAM in the current models. Additionally, the smaller Pixel will come in a 64GB variation, though it’s unclear if it will replace the 32GB base model or add another tier. However, audiophiles will be bummed to learn that Google might dump the headphone jack in the Pixel 2. XDA Developers and 9to5Google both report that the 3.5mm jack will be jettisoned in the new model in favor of stereo speakers. Will the Pixel 2 bring water resistance like the LG G6? It was somewhat surprising that Google opted to skip IP68 water resistance in the original Pixel, but there are signs it will rectify that in its next handset. As 9to5Google explains, the feature is “on the table” for the Pixel 2—although sources had previously informed the site that it was a priority for the next release. The Pixel 2 camera will be better, but by how much? If there’s one thing you can count on in a new flagship phone, it’s that the camera will be better. 9to5Google reports that Google won’t focus on megapixels with the Pixel 2, but rather will “compensate in extra features.” It’s unclear exactly what that means, but the site says the camera will be a “major focus” in the development of the Pixel 2. Additionally, XDA Developers reports that the Pixel 2 will stick with a single camera rather than a dual setup. In a blog post, Google has already shown off some incredible results from its experimental nighttime photography techniques that use the existing Pixel camera to generate some incredible low-light images, and we’re hoping some of that processing power makes its way into the Pixel 2. Premium phones don’t usually go down in price, and the Pixel 2 isn’t about to break that trend. In fact, it might cost more. 9to5Google reports that Google’s next handset will be “at least” $50 higher than this year’s model, meaning it would start at $699 for the 5-inch model and top $800 for the Pixel 2 XL. Furthermore, a comment by Rick Osterloh confirms that the flagship Pixel will stay a “premium” phone, meaning it will fetch many hundreds of dollars. The Pixel 2 will likely release in late October. Conventional wisdom has it that Google’s next phones will indeed be called the Pixel 2 and Pixel 2 XL. However, Google hasn’t always been linear with its naming. For example, the Nexus One was followed by the Nexus S and the Galaxy Nexus before the Nexus 4. So Google might throw us a curveball with the next Pixel. But we do know the code names. Following the longstanding tradition, Google has internally named its new phones after fish. According to Android Police, the smaller of the two new phones is called Walleye while the XL version is Taimen. A third phone code-named Muskie was also in the works but has been shelved. But will it beat the Galaxy S8? Will it beat the S8? That’s the million-dollar question. The Galaxy S8 is a force to be reckoned with, and Google certainly has its work cut out for it if it plans on besting Samsung’s latest flagship. The features listed here would go a long way toward giving the Pixel 2 bragging rights, but the main thing it needs is availability, both through Google’s online store and through additional carrier support. For more on what the Pixel 2 needs to be the best phone of 2017, read our analysis.